Essentially, buying a car “As Is” means you are buying the car with no stated or even implied warranties or guarantees. In other words you are on your own the moment you leave the lot. Car fell apart down the street? “As Is”. Found a body in the trunk when you got home? “As Is”. Well, you can call the cops, but you still own the car! 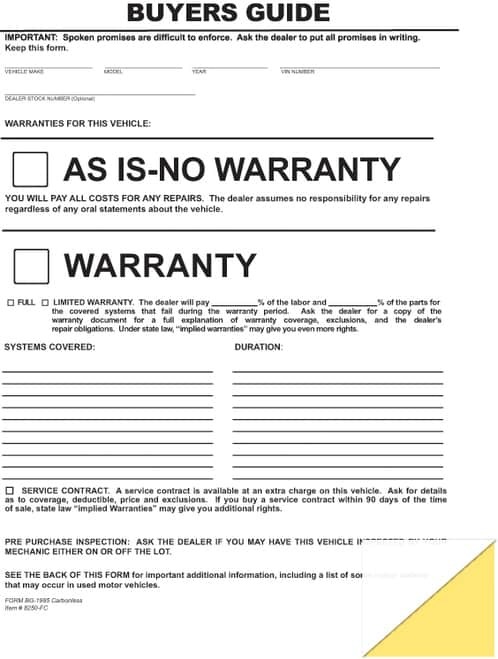 By signing an As Is No Warranty form you are waiving pretty much any obligation of the seller to what you might find wrong with the vehicle after you drive away. Literally, as the back tires hit the street out in front of the dealership, the dealer is now off the hook. Obvious exceptions to this rule would be fraud which, for example, could be a bill of sale stating that the vehicle has a clean title while it actually has been branded. There is a lot of leeway in the law on the dealer’s side in claiming they didn’t know a problem existed, but if the dealer lies about something that is documented, that would be a differents story. Can I Return A Used Car Within 30 Days? Although there are some States that allow for returning your car after it has been officially “delivered”, a majority do not require dealerships to accept returns and have laws that assume you (The Buyer) have done your homework before completing your purchase. 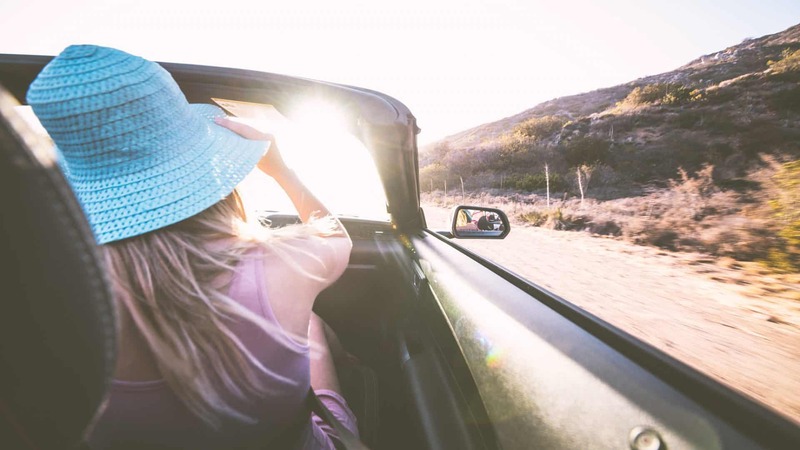 As for the States that do allow for cars to be returned, these are usually in cases where a signed agreement detailing a specific return policy exists. An example of this would be in California where the state provides a return period of two days on used cars as long as their value did not exceed $40k. In Georgia, dealerships are excluded from returns and only private party purchases are covered under the law. If there is Fraud or if the vehicle/purchase was misrepresented in any way by the dealership, you then might have the ability to force a return upon the dealership through civil court. However, this requires proof! If there are any substantial claims made as to the condition of the vehicle, get it in writing on your buyers order (Example Below) so that you will have some measure of protection. Is There A “Cooling Off” Period when buying a car? The (Legal) term Cooling Off refers to a specific type of consumer protection law that the Federal Govt and many States have that applies to common high-pressure buying situations. Although these laws differ from state to state, they all seem to exempt car dealerships. If you are curious as to why state laws exempt car dealerships from being considered high pressure buying situations, you are not alone. However, it’s not as simple as it sounds. A vehicle being returned can cause a significant financial loss for a dealership along with a major paperwork headache. For example, all of the registration with the DMV would have to be undone, and as anyone with DMV experience knows, that isn’t exactly the smoothest running govt agency in existence. A bigger question might be- What has happened to the vehicle during the return period? Dirty enough to require a detail? More than likely! How about scratches? Dents? If you let people return cars it could get ugly, FAST! 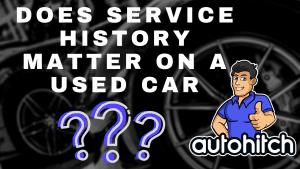 Why Buy A Used Car With No Warranty ? Cheaper! 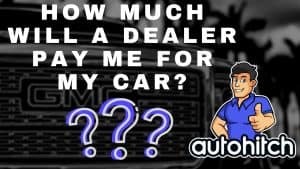 Accepting all of the responsibility for the quality of a used car is one of the easiest ways to get a discount, but it can also be a tool for car owners who simply prefer to avoid the dealership. Think about how you go to get an oil change and they bug you about air filters and wiper blades…. 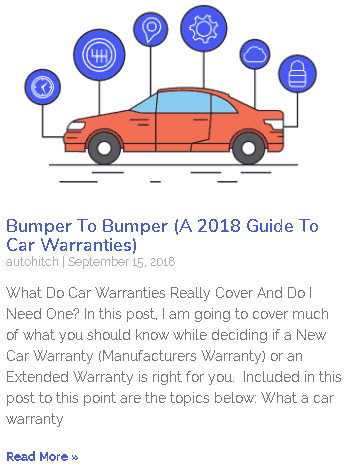 If you have more questions about car warranties head over to our post: Bumper To Bumper (A 2018 Guide To Car Warranties). We cover manufacturer warranties, dealer warranties, extended warranties, and get into what surrounds buying them when you purchase your next vehicle. 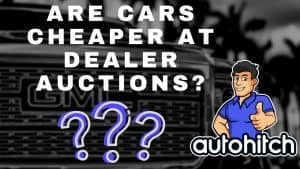 A definite must-read for anyone buying from a dealership!